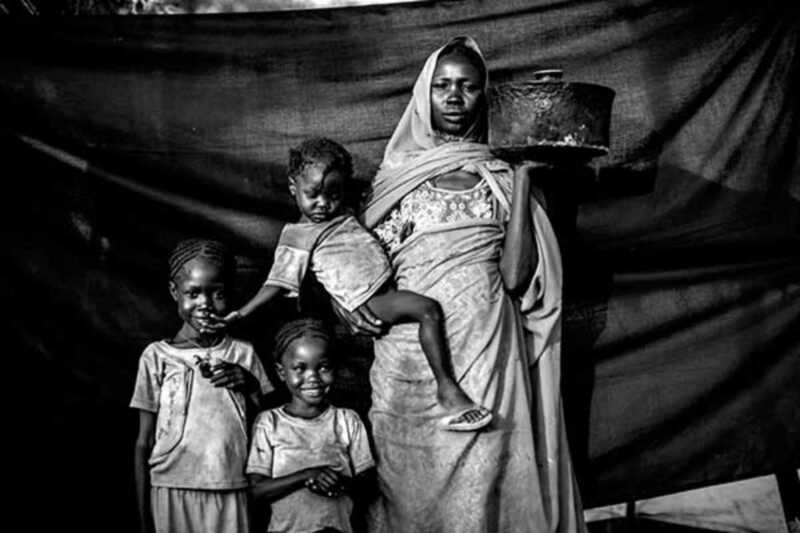 Currently at the CaixaForum is The Most Important Thing, a small but poignant photography exhibit portraying refugees from Syria, South Sudan, Central African Republic and Mali and the most important objects they took with them when they fled home. Award-winning photographer Brian Sokol has spent years documenting human-rights issues and humanitarian crises in Africa and the Middle East. Collaborating with the UN Refugee Agency (UNHCR), Sokol has created a powerful narrative about the lives of refugees who are often left with next to nothing when forced from their homes during periods of intense conflict. A fishing net, a sewing machine, an empty wallet. These are just a few of the items brought to safety by the afflicted families and individuals. Stark and powerful, the black-and-white images are a striking composite of those who survive despite powerful odds. Even while bringing to bear the hard light of truth, Sokol’s photographs nevertheless remind us that there is still beauty in the world.